Orlando, FL – For most small businesses, their greatest challenge is stable and continuous growth, and the faster they can achieve that growth, the better. Advanced IT Concepts, Inc. is a central Florida company that has, on the strength of its founders’ diligence and hard work, and with the help of the Florida SBDC at UCF (FSBDC at UCF), turned their company into a small business success story. Lieutenant Colonel Gabriel (Gabe) Ruiz retired from the U.S. Army in 2006. 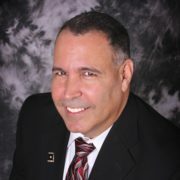 Since then he has leveraged a military career in information technology and an entrepreneurial spirit as owner and CEO of Advanced IT Concepts, Inc., which provides IT consulting services and value added resale of computer hardware and peripherals to both the government and private sectors, into a fast growing small business. Blending his military, consulting and corporate experiences, Mr. Ruiz and his wife Sandra founded AITC, Inc. in 2010; AITC, Inc. is a Service Disabled Veteran Owned Small Business (SDVOSB) and has also earned certification as an SBA 8(a) Minority-Owned Business. It was in late 2011 that Mr. Ruiz decided to seize the opportunities that he saw for the company and embarked on a mission to accelerate AITC’s growth. It was then that he turned to the FSBDC at UCF, in particular its Growth Acceleration Services and its Advisory Board Council program. Since that time, under his leadership the company has grown dramatically from 13 employees and revenues of $4.4 in 2013 to 31 employees and $14.7 million in 2106. That translates to an extraordinary growth rate of 169% between 2013 and 2016, making AITC one of Florida’s fastest growing companies. It was on the strength of AITC’s extraordinary 2016 results – both as a business and as a member of the community –that Mr. Ruiz won recognition as the SBA’s Small Business Person of the Year for the North Florida District. Revenues grew from $6.3 million in 2015 to $14.7 million in 2016. The company won huge multi-year government contracts, including a 5-year, $45 million U.S. Army contract, a 5-year, $70 million medical simulation contract and additional multi-year contracts totaling approximately $15 million. In the community, Mr. Ruiz and the entire AITC team support and participate in numerous important causes, including the Muscular Dystrophy Association, Wounded Warriors, Nemours Children’s Hospital and United Cerebral Palsy of Central Florida. And the success of the customers being served by Mr. Ruiz and AITC is imperative to the safety and welfare of our country, including supporting the U.S. Army, Air Force, Veterans Administration and Department of Interior.